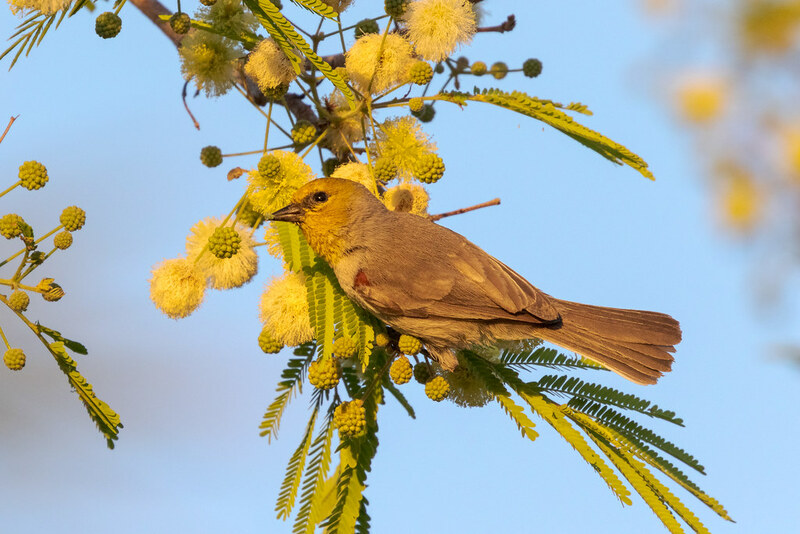 Verdin were a new species for me when we moved to Arizona as in the US they only live near the southwestern border. I see these tiny yellow-headed birds both at home and on the trails, this one was feeding from a tree in our backyard in April. 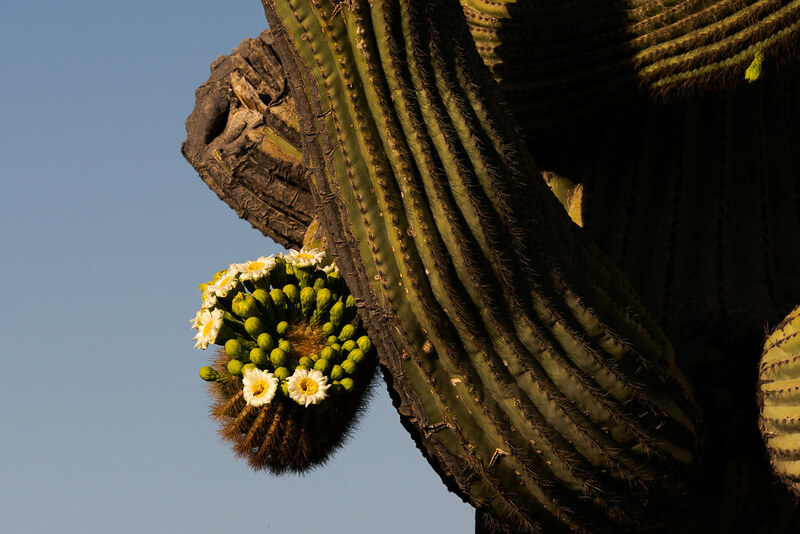 The classic image of the saguaro is of arms lifted towards the sky, and many do grow that way, but the arms may twist and turn in all directions, even growing down, like this splendid old example along one of the off-map trails at Brown’s Ranch. I especially liked the unusual ones when we moved here as I could remember them and they helped orient me on a web of trails winding through an unfamiliar environment.